Create a soothing light at bedtime with our Personalised Paddington Bear Baby LED Candle. 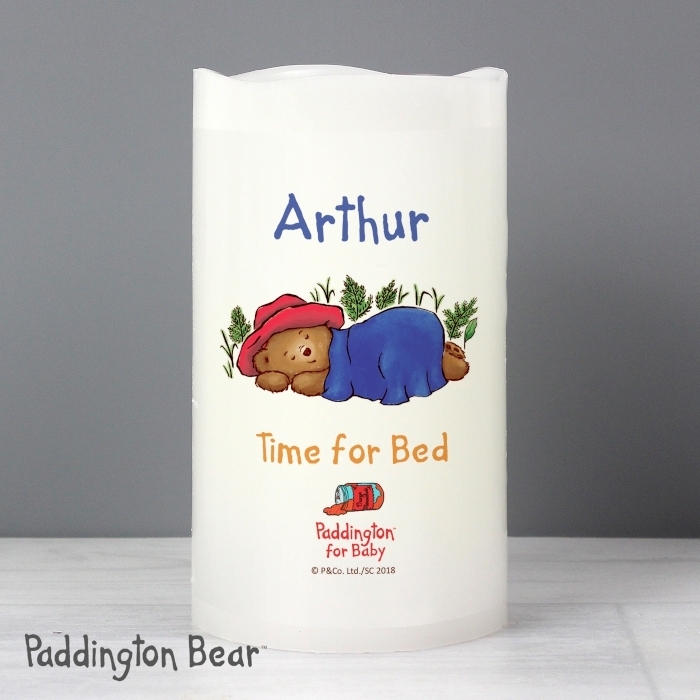 Gorgeously designed this ultra cute candle features a flickering effect flame, and is coated in real wax. Concealed at its base is the housing for the batteries, 3 x AAA which are not included. The candle is beautifully presented inside an organza bag. 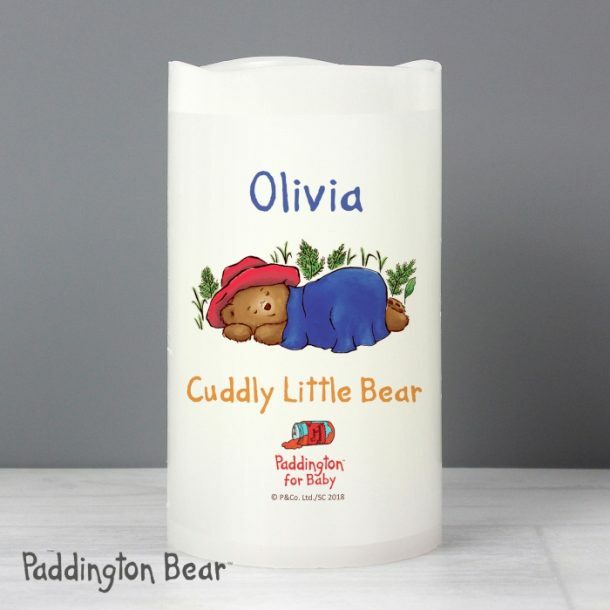 Personalise the candle with any name up to 12 characters followed by any message below Paddington up to 25 characters. Light up a Birthday, Christmas or Christening celebration, it’s perfect for loved ones.